Since their founding in 1959, the San Diego Chargers have tackled their way into the hearts of devoted SoCal football fans. In Game of My Life San Diego Chargers, fans can immerse themselves in all the greatest moments in Chargers history. Die-hard Chargers fan and award-winning sports writer Jay Paris expertly chronicles all of the greatest Charger moments, including the team’s thirteen playoff appearances, their heart-breaking loss in the 1995 Super Bowl, and their glory runs in the mid-2000s. Chargers fans can experience all the glory of their favorite team with first-hand interviews from over a dozen legendary players, including LaDainian Tomlinson, Dan Fouts, Ron Mix, Burt Grossman, Phillip Rivers, and Nick Hardwick. Each former great shares his most memorable game as a Charger, from the pregame jitters to the on-field glory, to the postgame locker room celebration. 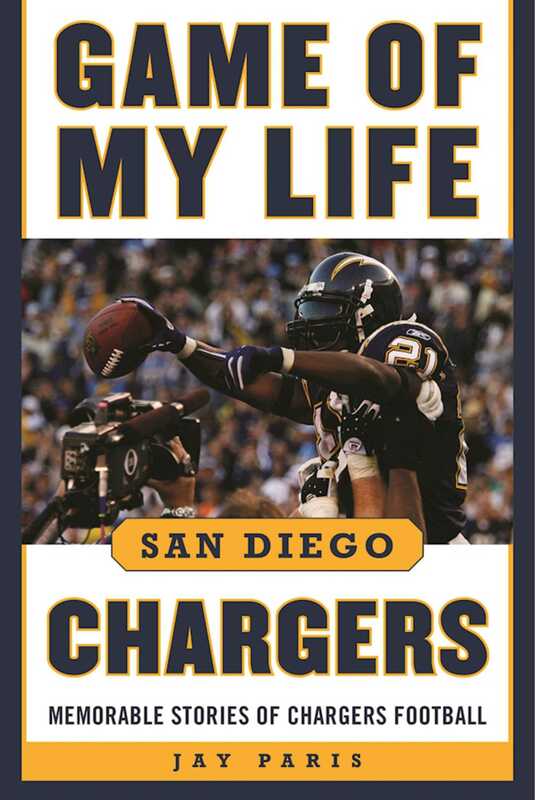 Game of My Life San Diego Chargers is the perfect gift for Chargers fans!